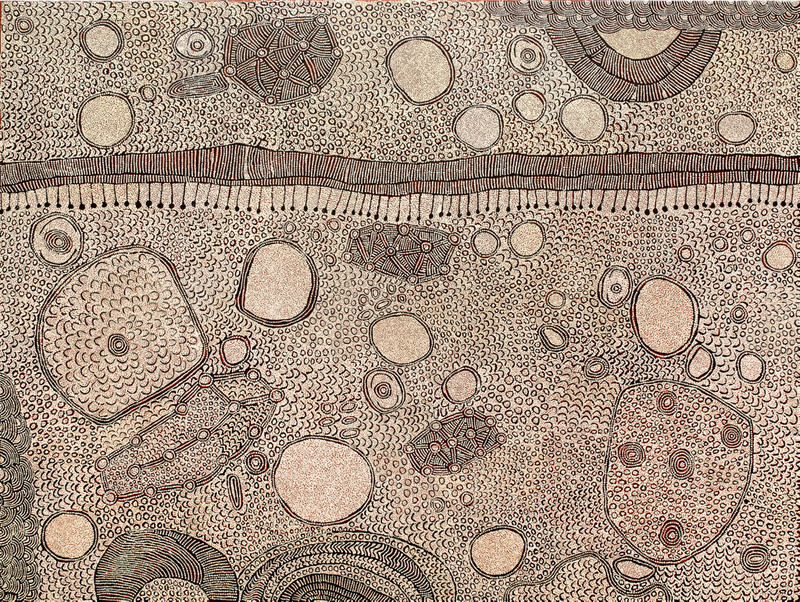 This painting depicts designs associated with the rock hole site of Mukula, east of Jupiter Well in Western Australia. During ancestral times, a large group of women from the west stopped at this site to perform ceremonies associated with the area. The women, represented in the painting by the ‘U’ shapes then continued east. As they travelled they gathered a variety of bush foods including kampurarrpa berries (desert raisin) from the small shrub Solanu centrale and pura (bush tomato) from the Solanum chipppendalci plant . 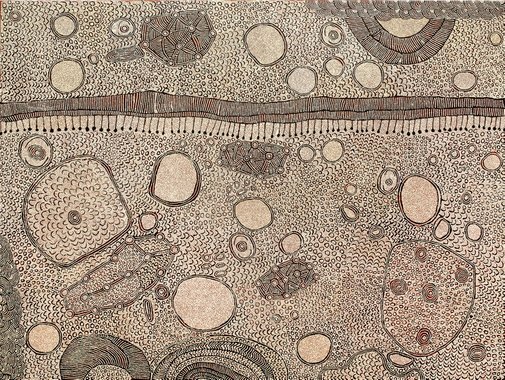 The shapes in the painting represent the features of the country through which they travelled as well as the bush foods they gathered.